This might be a very biased/obvious choice coming from someone who is a wedding photographer, but I have come to the realization (after getting married) that it is the only way I can look back on our big day. I chose someone who I can TRUST and someone who I know has shot plenty of weddings to be able to handle anything that was going to come his way. They are the historians of the wedding day and the ones who are with you the majority of the day, so you have to feel comfortable around them. It's not everyday you have someone following you around and taking a ton of photographs, but on this day, you have to realize that the photographer has one job and one job only, to document your wedding. This is the biggest day of your life and the beginning of a wonderful journey and it's their job to document every emotion, every detail, and if you feel awkward, or uneasy about them, you probably shouldn't have chosen them. Of all days, you shouldn't have to worry about anything else but saying your I dos, but if you are faced with a photographer who you just cannot trust, you won't be able to really enjoy those little or big moments of the day. I've seen so many dear friends of mine invest more money into flowers, dress, hair/makeup, decorations, etc, but have chosen to put photography on the back burner, and this is the biggest mistake. You won't have good images of all of those items you invested in, if you don't have a good/solid photographer to photograph them. In my opinion, if you are spending more money on your getaway car, than the historian for the day, your priorities are not in the proper place. The best way to see if you and your photographer are a good fit, is by having an engagement session done prior to the wedding day. This is one of the only times you will be able to work/meet with them before they arrive on the big day, so if you haven't gotten an engagement session done by your wedding day photographer, you are setting yourself up for some awkward moments together, especially if they don't know how you and your fiancé operate together. Hands down, the greatest decision we made was hiring a Month of Coordinator for our wedding. Shout out to Alana Futcher from A Chancey Charm Weddings for completely saving our day and making it a success! It was something I thought I could handle all by myself, but once I realized how much stress they take off your plate, it's without a doubt the best thing you can do for your wedding and for your well being! I envy all of those ladies that have the money to spend on an actual Event Planner, but with our situation, we couldn't do it. It brought a lot of agony, stress, long nights, early mornings to try and pull off doing it all by ourselves, but I had to put my foot down and insist on having someone come in and take over everything. I told Alana that it would be the easiest day of her life, because I wasn't what you would call a "Bridezilla" and I wasn't too uptight with the decisions, but it ended up being a crazy hurricane on our wedding day and this girl came in and was seriously our saving grace. I've heard so many different brides tell me that their mom is a great planner, they have a family member who has planned a reunion once or twice, so they automatically think they they can handle everything on a wedding day...but would you want your mom to worry about the planning or would you want her to actually enjoy your big day? Most likely, you'd want her to enjoy the day, but if you insist on them dealing with the planning, you are robbing your family members from the true excitement of the day. Nobody wants an unhappy MOB or MOG. Trust me, you don't want that! So, listen here - do the right thing. Hire a planner. Don't think twice about it. - Will it fit my guest list? - Is this our style? - Does it come with tables, linens, or chairs? - Will our guests be comfortable inside or outside? - Do I have to use the vendors on their recommendation list? - Do I need to rent bathrooms? - Is this the only lighting they provide? - Does it provide great spots for portraits outside? The list goes on and on and on. This alone should make you want to hire a planner so that they can handle all of this madness. 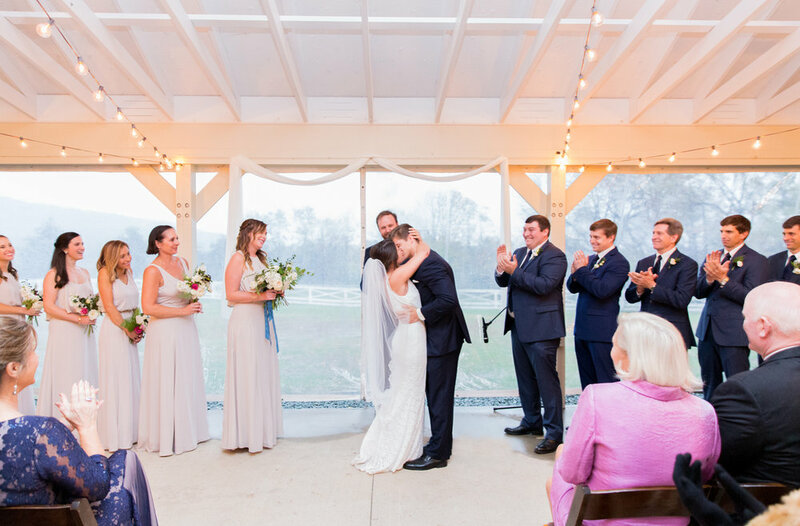 Most likely the grooms won't care too much about the venue, but this is what the bride has thought about her whole life, so it's important for her to get a good "vibe" about the venue, in order for her to want to commit. It's a huge dream crusher to find out that your dream venue is triple your venue budget, ex: Pippin Hill Farm, but you have to work with what you have and what makes sense for you two and the amount of people you are planning to invite. Take my advice, love your plan B as much as you plan A. This was the biggest mistake I made when we chose our venue. I was so certain that we were going to be perfect weather with perfect views, but it was the total opposite of what I had envisioned. My guests were cold, uncomfortable, leaving early, and I felt like I failed them. I felt that I wasted their time. That is not what you want to feel on your wedding day. They say you shouldn't worry about the guests and only make sure it works for you and your partner, but you have to consider the ones you are inviting. You take into consideration things regarding the grandparents, children, the band, etc., and it makes you panic that you won't get it right. I will tell you one thing, you cannot please everyone. Pick the venue that gives you the most for your money, has plenty of locations for portraits, and choose a location that suits you and your fiancé. This is a tough one. Just like the venue, you want to decide on an entertainment that can fit with your style and can make your guests dance their shoes off! No matter who you choose to entertain your guests, do your homework and take your time finding the best person for the job. The best way to choose your entertainment is to get recommendations from past weddings you've been to, check out their website, and to see live performances from them. One of the main things people remember from the wedding day, is the entertainment. I've been to countless weddings over the years and I can still think back to some of the best bands and DJs who made the wedding a huge success! The one reason why people pick certain entertainers, is the vibe they bring to the wedding party. In addition to musical ability, you’ll also want to pay attention to your potential entertainer’s personality when you see them live. Are they willing to take requests? Are they flexible if your guests don’t seem to like a particular song? Remember, especially in the case of a DJ, your entertainers’ energy and attitude can make or break the evening in an instant. Like the venue, realizing how much bands and DJs cost can be a huge dream crusher, if you have a strict budget. This is a decision you and your partner have to be on the same page about. 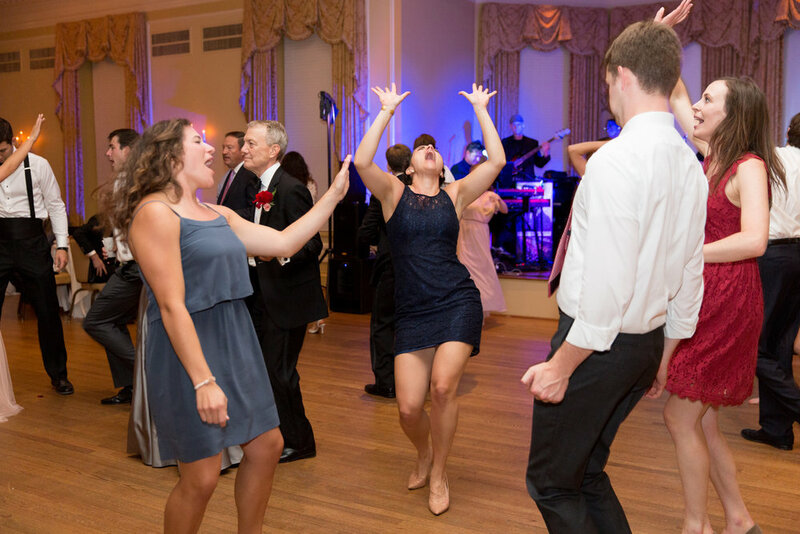 If you choose a band, you have to be sure they know your first dance song, and if they can play songs that are closer to your vibe or style of wedding. If they are folk singers, it's probably not likely that they can play some Bruno Mars/Justin Timberlake songs like you want. The vibe has to be on point with who you are as a couple and the guests you will be inviting to the wedding. The best part about having a band, is how they interact with the crowd and how lively they can make the room feel! 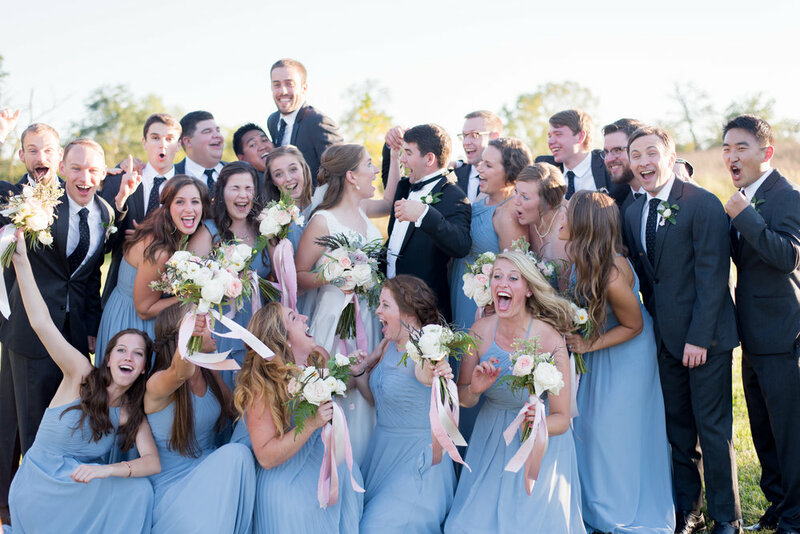 They are memorable, entertaining, and will always make the wedding so much fun! The best thing about a DJ is that they can 100% play the exact songs that you want. You don't have to worry about if it's going to sound the same, is it going to be recognized by the crowd, and is it going to be as fun as it sounds on the radio. Yes, they aren't as lively as a whole live band with saxophones, drums, and guitars...but a good DJ has the personality to light up a room, even from being one person. One of the biggest regrets I have about our wedding day, is not having a videographer to document the day. I wish I got to see how my little nephews walked down the aisle (everyone said it was hilarious) and I wish I was able to remember my husbands reaction to seeing me for the first time. Of course, I have images of it, but something about having a video to really look back to see it, makes me wish I invested in it. I had a couple friends in mind who I knew could do it, but I just never got around to really investing in it, which makes me sad. I've heard people only watch it once or twice and completely forget about it, but I think I would be one of the few who would have really appreciated a video highlight of the day. Like photographers, they are with the couple the majority of the day, so you need to find a group (usually its one or two people) who you feel comfortable around and who fit the vibe of your relationship. Sadly, I'm here, writing about how I wish we invested in a videographer, but I hope people realize that this is the biggest day of your life & if I could do it all over again, I would make this a top priority over many other things.